Agresti - "Firenze 1949." 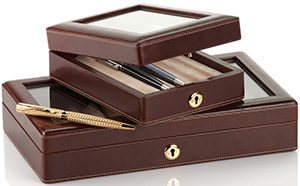 Pen boxes. 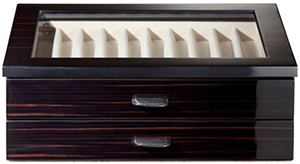 Aspinal of London - since 1999. 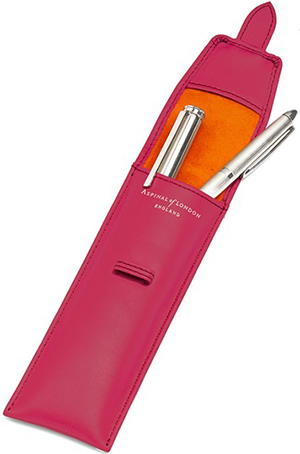 Women's leather pen cases. Betty Hemmings - since 1966. 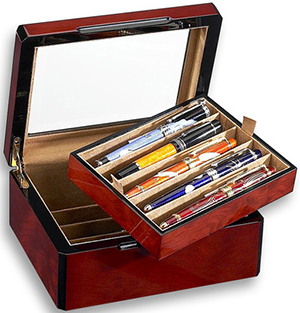 Pen boxes. 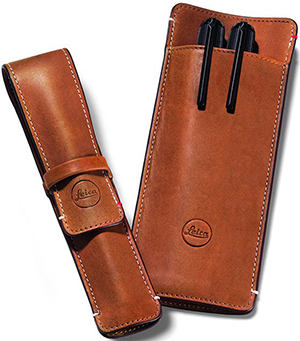 Boss - men's pen case. 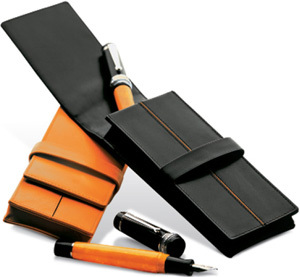 CARAN D'ACHE - men's & women's pen holders. ELIE BLEU Paris - since 1976. All models. 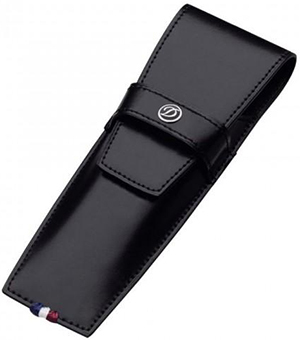 Gucci - women's pen case. Jimmie William - pencil case. 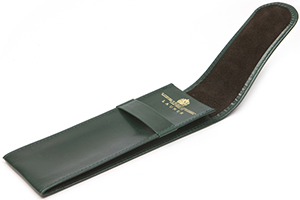 Launer London - "Handcrafted in England." Men's & women's. Louis Vuitton - expert case. Lucrin Geneva - founded in Switzerland in 1994. 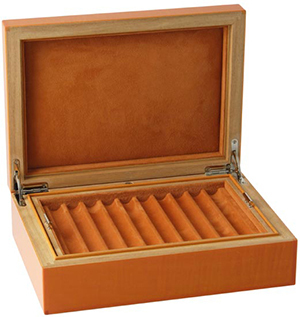 Men's & women's pen cases. Montblanc - since 1906. 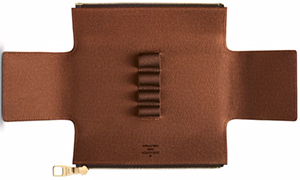 Men's & women's pen pouches. 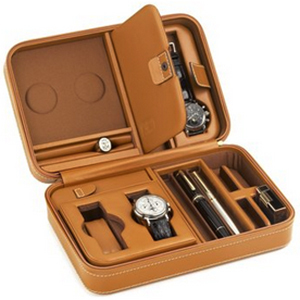 SCATOLA DEL TEMPO - pen, watch & jewelry case. SHEAFFER - founded 1912. Pen pouches. S.T. DUPONT - since 1872. 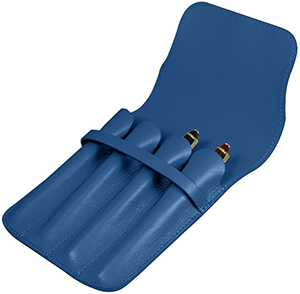 Pen case. VERTU - "Handmade in England." 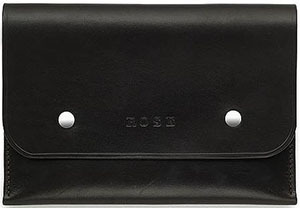 Leather cases.